These, however, are minor details that could easily be explained with an ongoing design revision progress. All the important bits about the "Athena", the ones BlackBerry fans are likely to appreciate, are still present and accounted for. Like, the slightly re-designed, but still essentially identical full QWERTY keyboard. And right above it, what looks like another 3:2 aspect ratio touchscren. Just like on the Keyone. This time around, however, the back of the phone houses a dual camera setup - a BlackBerry first. The original renders, also feature a 3.5mm audio jack and a Type-C port in clear sight. Unfortunately, the TENAA listing does not contain any hardware information beyond this, so far. It does divulge the phone's BBF100-4 model number. 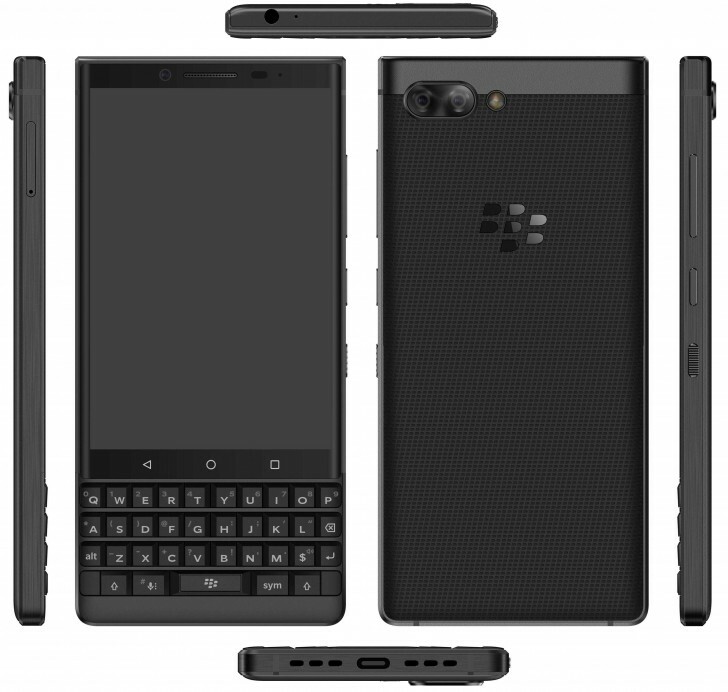 Which, by sheer similarity to the BBB100-X designation of the Keyone, makes the successor scenario that little bit more credible.